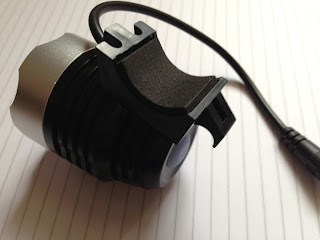 My Orange Brompton: Super Power Front Light for £16.99 - Is it any good? Super Power Front Light for £16.99 - Is it any good? I have to blame my friend and fellow Bromptonian David for this purchase! 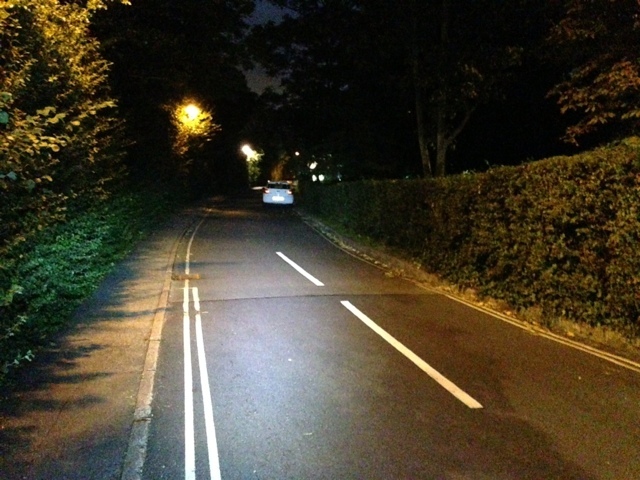 We have been on a number of night rides this year and will almost certainly be going on many more before the year is out, so in addition to my Hope Vision front light - which is brilliant - I decided to take the plunge and buy a second light that offers quite a lot for the princely sum of £16.99. The light in question is the Cree XM-L T6 light. These can be easily bought on eBay and for the price you cannot really go wrong. 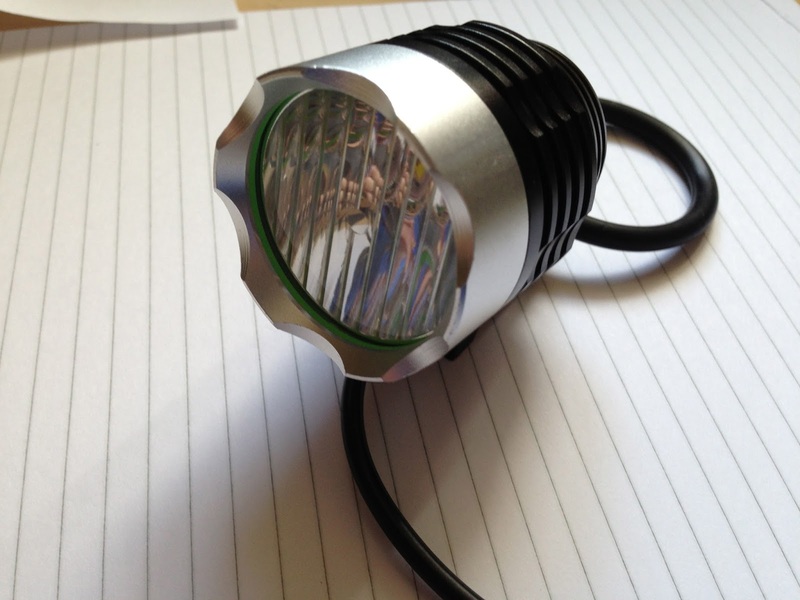 The light itself boasts that it is 1800 lumens. I am not sure whether it really does give off that immense power but I can say that compared to my Hope Vision's 300 (on full power setting) it is a great deal brighter! 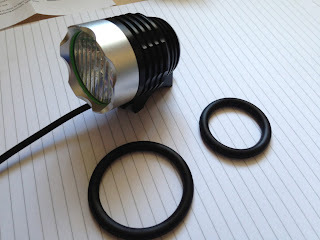 The light seems very well made and if I had of inspected it and not know it cost £16.99 I would have thought it cost a great deal more. It appears to be solid and of good construction. The Cree has a very simple mounting system which consists of a rubber O ring (two are supplied) that attaches to two points on the light. On the handlebars it is quite secure and easy enough to take on and off. When the light is connected to the battery the light emits a green light and interestingly the supplied battery pack comes partly charged - a nice touch. 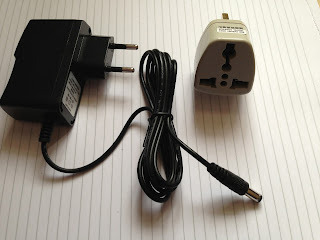 Also included in the pack is a charger and adapter socket for British plugs. It works well as far as I can tell. The battery pack comes in its own case which you can attached to the frame of your bike. The light is billed as being waterproof. I am not sure about the battery pack though? A headset is also included. I can't say that I would immediately use this but it is nice to have and you never know? 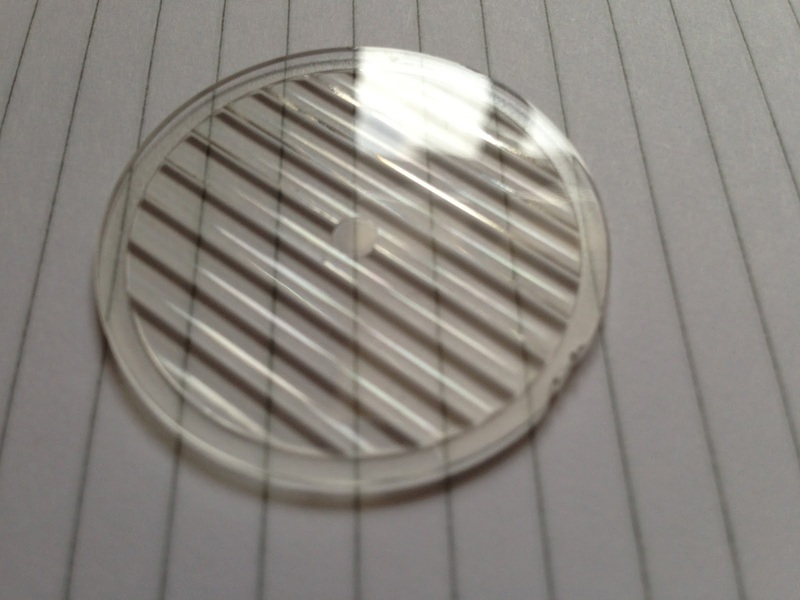 As an optional extra you can buy a wide angle conversion lens. 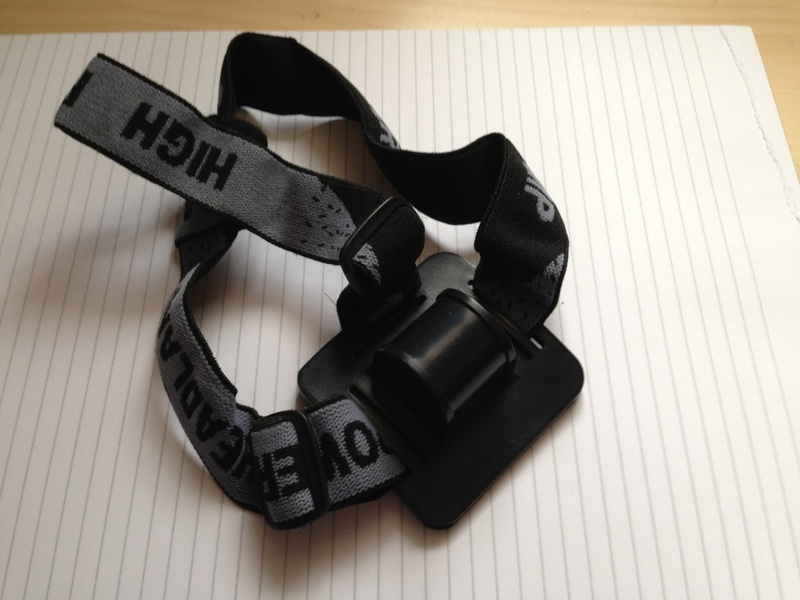 This makes the light better for night riding as it coverts the light to a floodlight with some 30 degrees spread rather than just a spotlight. Changing it was simple a case of unscrewing the cap, taking out the supplied glass lens and putting in the new one. 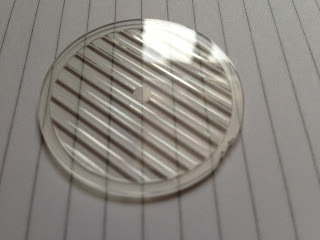 The wide angle lens cost £4.99 including postage and packing. 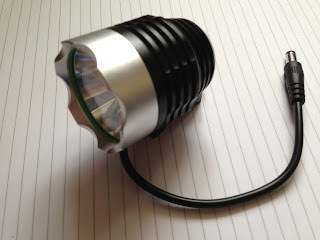 The Cree XM-L T6 will come in very handy as a backup to my excellent Hope Vision light. The Hope Vision is a light that I expect to have in my possession working away in five years, after hard use. I say this as it is that good. I cannot say how long this light will last? What I can say is that I am very impressed with the performance and even more impressed with the price. At £16.99 it is a bargain. I would be happy if it lasts until this time next year. Longer would be a bonus. 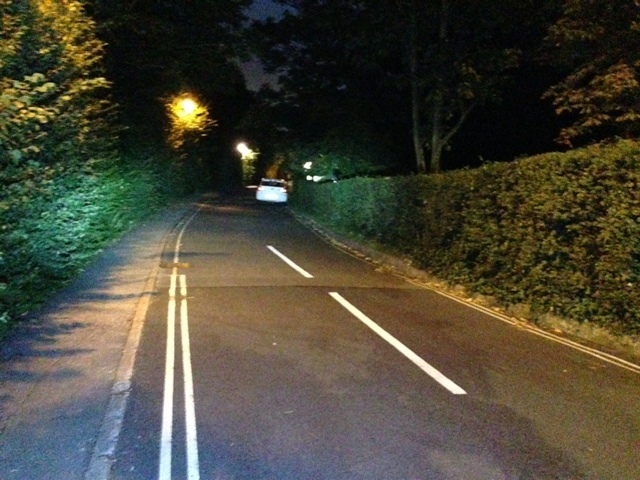 I had to go to Richmond last night briefly and could not resist a quick ride up Nightingale Lane. I tested the light out although it wasn't fully charged. First impressions were favourable. The flashing mode was outrageous! Bright is not a good enough word. The low mode was about as bright as my Hope Vision on its highest setting. The high mode was much brighter. Again I can't say it is a full 1800 lumen but my goodness is it bright! 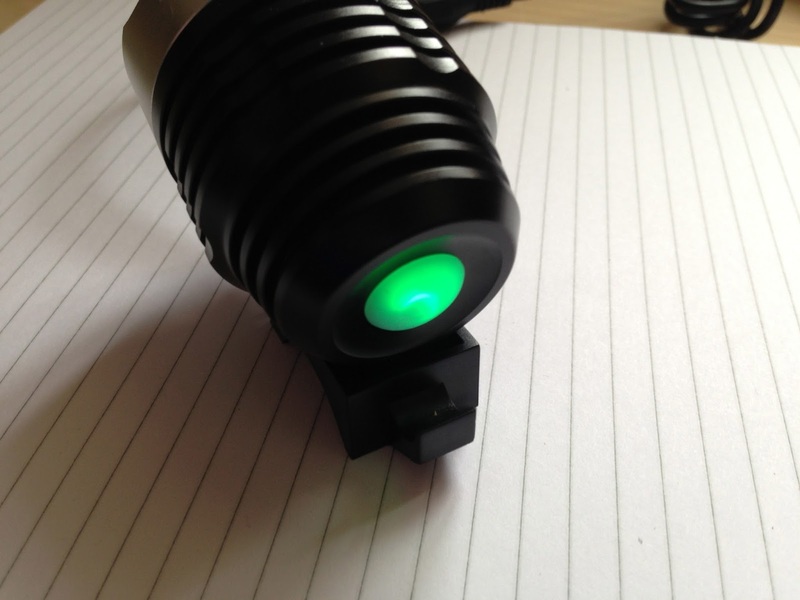 The first of the pictures below is the Cree on full. The second the Hope Vision on full. I am going for a mini night ride this evening and I will take this and let you know how I get on with it. So far though, VERY impressed! Could you please post a picture of the battery pack? This sounds really good, but I dont want to add a lot of cable clutter. 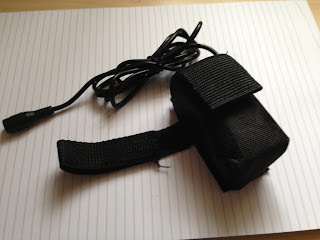 Have you managed to mount this to your Brompton without interfering with the folding, or do you need to take it off? It doesn't really interfere with the fold and all you have to do it twist it upwards a little. For this money it is excellent. Your New Brompton - Expectations vs Reality!